Let’s face it, we can all get a bit stir-crazy after Christmas. So if you need an excuse to ditch the in-laws, check out our New Year Sales Event. 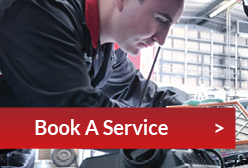 DSG Vauxhall will be offering great deals on cars, vans and Genuine Vauxhall Accessories. 0% APR for up to 5 Years* also available. New Year Sale Event Ts&Cs. Event subject to availability. 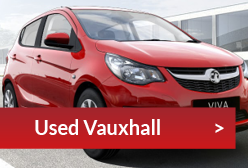 Ts&Cs and Exclusions apply, see http://www.vauxhall.co.uk/event. Event applies to private individuals, Vauxhall Partners and small businesses 1-24 units. Available on vehicle orders between 26 December 2018 – 7 January 2019, that are subsequently registered by 31 March 2019. *5 years 0% Ts&Cs. Offer subject to availability, on selected models at participating Retailers only. Conditional Sale. Finance subject to status. Ts&Cs apply. Applicants must be 18+. Finance by Vauxhall Finance, CF15 7YT. 24-60 month term available. Offer applies to private individuals, Vauxhall Partners and small businesses 1-24 vehicles. Offer available on orders or registrations from 18 December to 4 April 2019.